Our DOUGH Card is now two cards in one… it’s the card that keeps on giving! The DOUGH Card makes the perfect gift card – whether treating yourself or surprising friends, family or employees. Once you register the card you can load a dollar value to the card on our website using your credit card. Dollar value can also be loaded at any GT Pie shop location or by using the Pie Dough Club App. You can even have the DOUGH card auto-reload a dollar value when the account balance dips below the amount you set. * The DOUGH card now makes it quick and easy to pay at the register! *These features are now also available on the Pie Dough Club cards. 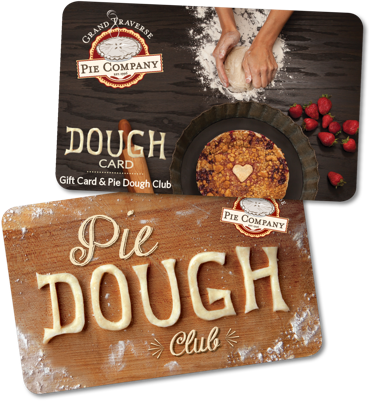 The DOUGH card is also a Pie Dough Club rewards card. Members earn points (one point for every dollar purchased) and after 150 points receive $10 in Pie Dough Bucks to spend in the shop. Members also receive a free slice of pie for registering the card as well as a birthday reward choice of a free slice of pie a la mode or a free mini 6” pie! You must be registered to use the earned rewards and to receive special offers and promotions via email. 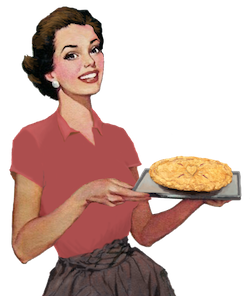 For more details about the Pie Dough Club see our FAQs.